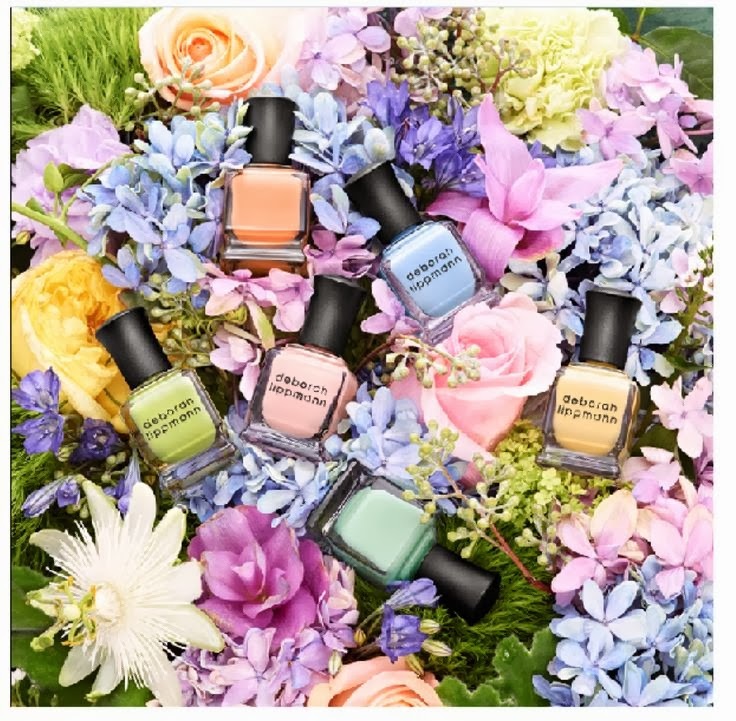 Deborah Lippmann recently launched her Spring Reveries collection in the US, I don't have a date for the UK yet but it should be making it's way here toute-suit given the new brand launch here in the UK. Spring Reveries is the perfect spring beauty addition and consists of five gorgeous pastel creme polishes and one shimmer. Most people when they think of a spring palette will automatically go for pastel tones, for me it's always been mint, lemon and baby pink, to give it an edge through some cerise or glossy red into the mix - sounds crazy I know but it works in the same way that a Cath Kidston floral palette works. The inspiration behind this collection came from Deborah's love of botanical flowers, I'm starting to see a pattern for spring beauty collections and I love the way it's heading. Flowers, peace, calm and nudes *ooh-errr* I would totally agree that these do give an appearance of spring botanicals and she got it absolutely on point with what she was aiming for. Gorgeous isn't it. I'm guessing by now you probably have a favourite or two, here's the individual deets on each shade. La Vie En Rose // Pastel petal pink shimmer. Spring Buds // Pretty playful creme pistachio. Tip Toe Through The Tulips // Perennial pale creme peach. Flowers in Her Hair // Magnificent creme mint medley. Blue Orchid // Blossoming baby blue creme. Build Me Up Buttercup // Blooming buttery creme bouquet. I love them all I really do. I've always preferred a creamy glossy colour to say a metallic or pearl finish, these are right up my alley so to speak. If I was heading out to buy these right now I'd say Tip Toe Through The Tulips and Blue Orchid stand out, you can tell it's impressed me as I never go for blue tones... ever. Once launched you'll be able to pick it up from House of Fraser and Beauty Bay.